Leg cramps happen when the muscles in the leg tighten and stretch, causing pain. They may also be referred to as the involuntary muscle contractions which are painful and that occur mostly in the calf region or the foot or both. 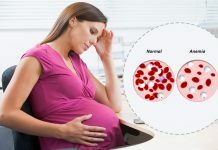 The leg cramps have been found to be very common during pregnancy, but the researches that are done to find the exact reasons behind pregnant women experiencing leg cramps do not provide consolidated results. It is argued that one of the possible reasons behind the cramps may be that the leg muscles are tired from carrying the extra baby weight. 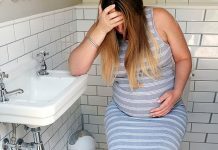 An interesting fact is that the leg cramps tend to be more frequent during the second trimester of the pregnancy and worsen as the pregnancy proceeds. But there are quite a few home remedies for leg cramps during pregnancy which are easy to use and very effective. Stretching: one of the most effective home remedy to cure leg cramps during pregnancy is to stretch. Stretching the leg and the calf muscles right before bed helps in preventing leg cramps. But there are certain correct ways of stretching- for example a woman must stand at arm’s length from the wall, place her hands on it and then move her right leg behind the left one. Now she must keep the right knee straight, the right heel on the floor, and stretch for about 30 seconds. Now keeping the back straight and hips forward, repeat the process by switching the legs. There is also an Amish home remedy for leg cramps. It involves a mix of ginger, garlic and apple cider vinegar. Having a spoonful of the mixture when the cramp starts or before going to bed gives relief from the leg cramps. Another easy way to get relief from the leg cramps is to keep the muscles hydrated by drinking lots of water. It has been found that wearing socks is also a good remedy for leg cramps. Wearing socks (especially woollen) help to keep the legs warm and improve blood circulation in the legs. This is thus helpful in avoiding or relieving leg cramps. Sitting with the legs in a tub of hot water helps to relax the leg muscles and thus gives relief from the cramps. Regular physical activity is another way to treat the leg cramps. However, while exercise and activity might reduce the cramps, a doctor needs to be consulted before an exercise or activity regimen is started.